1. 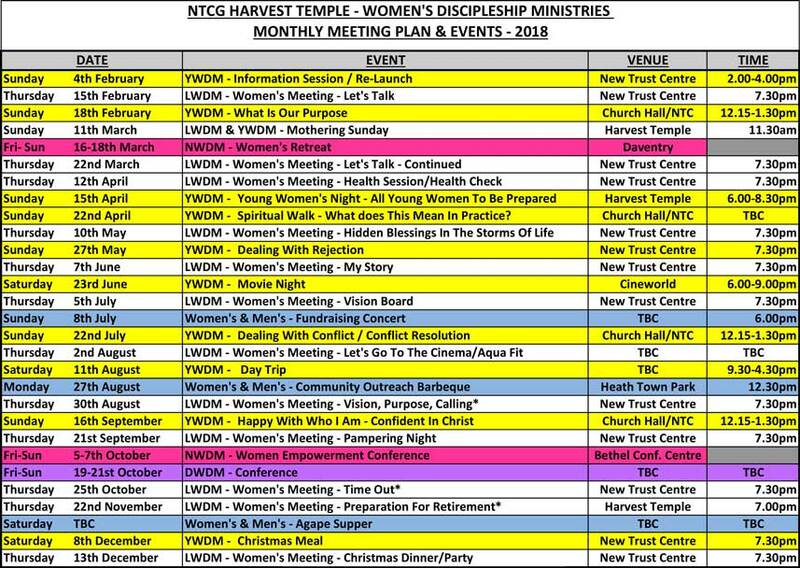 Assist women in developing a deeper understanding and relationship in God through worship, fellowship, training and leisure and to enhance our relationship with the wider community and the world. 2. Assist women in their spiritual growth, leadership and personal development, emotional and intellectual needs in their various stages of life regardless of their age, ethnicity or culture. We hold monthly meetings where we discuss and or teach specific topics: Fasting, Prayer, Gift of Tongues, various health and medical issues. We also enjoy spending time in worship, prayer, fellowship and encouraging one another in their spiritual growth as well as practical activities including knitting baby blankets for the local hospital's baby unit. For many years, this Ministry has supported projects in various parts of the world and currently support the National Project, 'Shape' in providing accommodation for homeless young women in this country. The dates, times and locations of our meetings are shown below.